Guest blogging is only as great as the site it’s hosted on. Rather than jumping at any opportunity, take a little time to find top-shelf websites that are a good fit for the content you can provide. 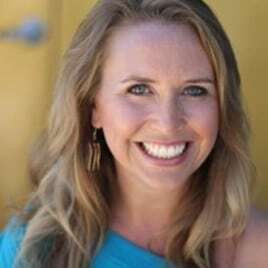 There are plenty of ways to find websites that accept guest posts, including word-of-mouth, social media searches, and emailing the contacts of blogs you read. However, there are also ways to make it happen by doing a little digging. Using Google you can create a search to find sites that are looking for contributors like you. Simply search “topic + guest article (or similar phrase)” and see what kind of great opportunities appear on the search page. Additionally, you can search the hashtag or phrase “guest article” on Twitter, Facebook, Instagram, or Reddit to find opportunities organically. Respond to or continue ideas you’ve seen on the site. Go deeper on a buzzword topic. Find topics that are relevant to well-liked blogs, but haven’t yet been written. As a side note, always remember to check and double check the site’s guidelines for pitches and blogs. You could put in hours of hard work, only to have your article rejected for not complying. While this may seem obvious, the content really is key with guest blogging. Particularly if it’s your first time guesting, or guesting on a particular site, you’ll want to put forth exemplary writing. If the thought of writing with personality and poise gives you pause, consider asking help from a friend or colleague for proofreading your first draft. Take your time, give your best effort, and edit until it’s even better. Pay special attention to crafting headlines that draw readers in. This is your blogs’ first impression in the eyes of the site and the web. What’s a blog without corresponding images? Be sure to find interesting, high-resolution images to accompany your writing. Additionally, make sure the images you are using are license free. Not only is swiping an image morally wrong, it could also violate the sites’ regulations. The best rule of thumb is: if you aren’t sure if you should use the image – use another image. Luckily, there are tons of excellent free image websites, such as this one. You should decide in advance what is most important to you to drive traffic to, because some sites limit the number of links a guest blogger can place in their bio section. Also, consider using a different bio for different types of blogs and sites. Think of it as modifying your resume for different jobs. A small change can go a long way. A pro-tip is to add UTM parameters in Google Analytics so that you can specifically track the traffic driven from each guest post you contribute and link your site to. It may seem obvious, but it’s imperative to be responsive as a guest blogger. This is true for responding to feedback from the site and from editors. It’s also true for engaging with your commenters, answering their questions, and thanking them for their feedback. Blog owners will be pleased, because responsive bloggers only help them grow. There’s no techy loophole here – it’s just good etiquette. As an added bonus, it often leads to more opportunities. Remember to subscribe to your own post so that you are emailed notifications when someone comments. As mentioned above, UTM parameters can be helpful in tracking the impact guest blogging has on your site traffic. Also, investigating which referral paths are coming back to the blog are useful. Additionally, check the social outlets of the blog to see if they are sharing your post. If so, take the initiative and engage with them on every platform that you can. Guest blogging is a great way to grow your brand, your site traffic, your social network, and your writing skill. If you have something to say, it’s an opportunity you don’t want to miss out on. 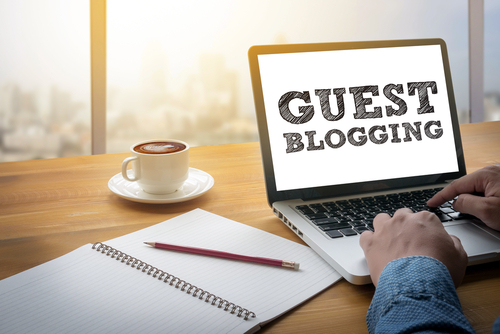 Guest blogs lead to connections, which lead to more chances to grow and succeed in the digital world. If you would like more information on digital marketing strategies, contact us. We are happy to help.